Eva Berendes, 'Grid (Umbrella)', 2013. Steel, lacquer, mixed media. Credit the artist. 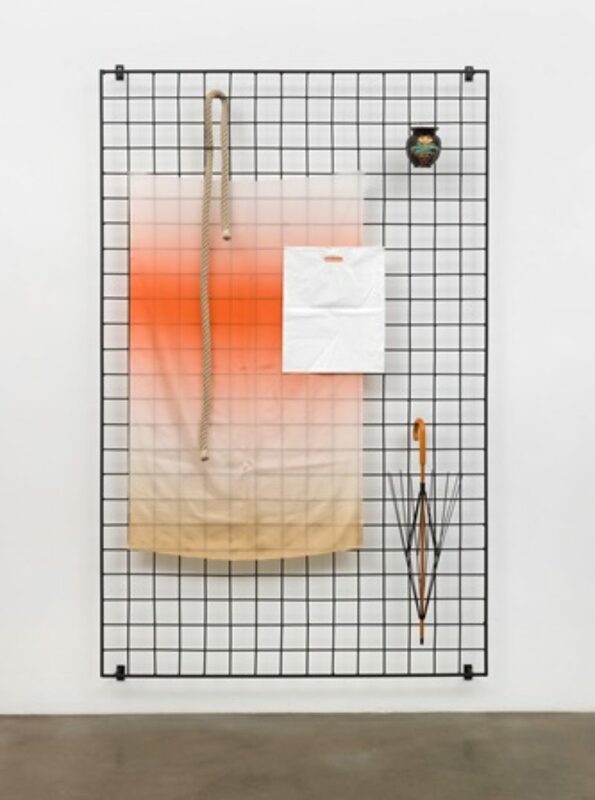 Glasgow Sculpture Studios’ first exhibition of 2016 is The transparent tortoiseshell and the un-ripe umbrella , a group exhibition curated by Louise Briggs, including new commissions and recent works by Eva Berendes, Stephanie Mann, Rallou Panagiotou, Vanessa Safavi and Samara Scott. To coincide with the exhibition, Glasgow Sculpture Studios will be collaborating with MAP as part of Footnoting the Archive . A footnote to the exhibition, including texts and moving image contributions by the curator and artists will be published on MAP at intervals over the course of the exhibition. It begins with AFTERWORD, a text by the curator Louise Briggs that provides an intimate insight into the thought process behind the show. This will be followed by A conglomerate of voices rise up like hidden steam , a text & moving image work by Stephanie Mann published on 4 & 11 February 2016 and concludes with K’s Turn , an excerpted film by Rallou Panagiotou, a homage to two specific locations in Greece and a collection of bootleg summer commodities from which her sculptural work stems, to be published on the 25 February 2016. The exhibition explores how each of these artists use everyday, familiar objects and commodities to create abstract pictorial assemblages that play with our sense of what such objects are commonly used or known for. Within their respective installations, photographs and sculptural assemblages, the objects become ambiguous, free-floating signifiers that when combined together alienate their familiarity to the viewer. The artists disregard the objects’ operative hierarchy to focus upon their decorative, material and sensory qualities—combining natural and artificial imitation, antiquity and plasticity, the industrial and hand-made. While each artist works sculpturally, their practice clearly occupies the space between two and three dimensions. Works share much in common with the history of painting—and predominantly that of the still life—where colour, texture, surface, composition, the layering of fore-and background, and the relationship between and arrangement of objects is paramount. The still life here is anything but static. Each work appears to imply some form of live activation, either through references to the body and the absence of it, or in the live substances and elements that amalgamate within some of the works.